In 2002 the trustees decided upon a three phase plan to improve the centre and add to the infrastructure for the community. 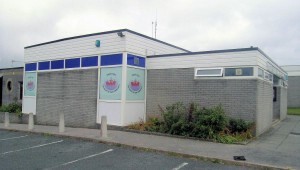 The first phase of our plans was to extend the centre with the addition of 2 purpose built offices, the creation of access's and a disabled toilet so that all in the community could benefit regardless of ability, as well as improving the fabric of the centre by upgrading the furnishings and disco lighting. Letting out of the additional office space to the Plymouth Money Advice Group has created an additional 5 jobs in the area. This was achieved in Dec 04. The total cost of this phase was £157,289, of this £78,610 was funded through the Plymouth SRB Partnership. 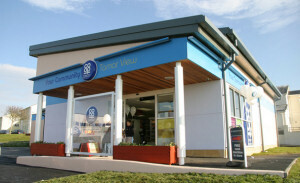 The second stage of the project was the creation of a retail unit in partnership with the Plymouth and South West Co-operative Society Ltd.; this project was brought about due to the lack of infrastructure in the area, and much needed local employment opportunities which fit in with the demography of the area. The build programme began in March 05 with the widening of the vehicular access from Poole Park Road with the actual building works commencing in June 05 with completion in November 05. 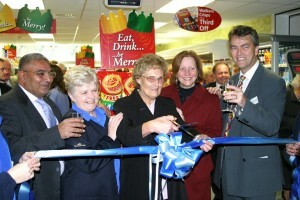 The store opened for trading on 26 November 2005 with 8 employees all from within the community. Apart from the rent the community will benefit from a profit share agreement with the Plymouth and Southwest Co-operative Society where 25% of the profits from the store will be passed back to the community through Tamar View thus ensuring the future sustainability of the centre's work. The cost of this phase was £ 549,883, with the PSW Co-op contributing £160,000 and the Plymouth SRB Partnership contributing £130,000. 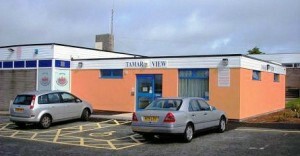 Tamar View Community Complex Ltd has invested £79,195 in the 1st Phase of the project and £259,833 in the 2nd Phase. Of this £160K is in the form of a loan from Lloyds TSB, the remainder coming from the centres own operating surplus. The third and final stage is to create a GP Surgery, pre-school nursery and pharmacy. It is hoped to apply for planning consent late 2014. The trustees are working hard on securing funding to bring this project to fruition and have already begun negotiations with the Plymouth Primary Care Trust. View / download the floor plan for the third phase. Our longer term plans, within the next 5 years, include becoming a grant making trust so that profits from the Community Business and surplus revenue generated from the above projects, through the charity, can be used to support other local community enterprises and support the work of voluntary sector within our community, thus empowering the community, to be responsible for its own environment; as well as adding to the services and facilities available to them and creating a sustainable community. Barne Barton has been described as the size of a town without the facilities of a village. The retail unit project is the first steps of visible regeneration much needed in the area, which has high indices of deprivation, and will create much needed additional employment opportunities within the community. View / download copy of our plan. Why is this project such a success? Firstly it is through the help and support of organisations and businesses such as Co-active [see link below] and the South West Regional Development Agency (SWRDA) [see link below] and the Plymouth SRB Partnership. These have helped us remain focused and have guided us through challenging times and have given us expert advice. We are grateful to these organisations without whom we would not be where we are now. Secondly it is through the dedication of the trustees who have involved the local community at all levels listening to their needs and providing where we can for these. We also take into account the affordability of our facilities and have structured our pricing policy accordingly. We have planned for each new project and constantly revisit our business plan, looking at the impact our decisions will have not only on our community but also our supporters and funders; and through the prudent use of our combined resource; which includes our time as well as the centres finances and facilities. We aim to make each pound of funding benefit the community not only during the funding period, but for many years afterwards. By using a professional business approach to a charitable cause we have managed to do this and are putting the foundations in place from which our community will benefit for many years to come. South West Regional Development Agency website.